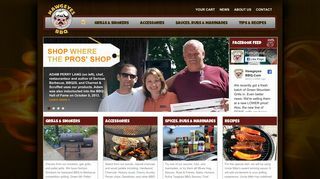 Hawgeyes BBQ – Barbeque gas grills and wood burning smokers. Also charcoal, sauces, spices, rubs, and barbeque accessories. – Barbeque gas grills and wood burning smokers. Also charcoal, sauces, spices, rubs, and barbeque accessories.